COLUMBUS – Once again Urban Meyer was asked at his weekly press conference if he will be Ohio State’s football coach next year and once again he repeated the same answer. 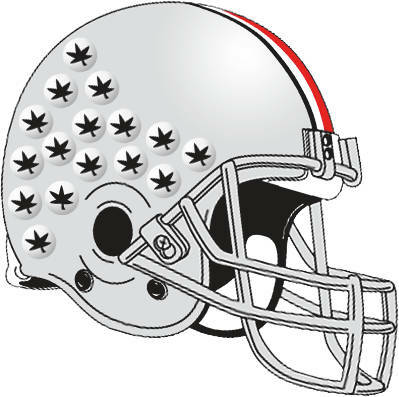 “I plan to coach,” Meyer said on Monday. There has been much speculation about Meyer’s future in recent weeks, citing his health and the turmoil of the last four months after allegations he didn’t do enough about reports of domestic abuse by former receivers coach Zach Smith. Even if the speculation is based on facts, the idea that a coach would make an impromptu announcement he was leaving five days before his team plays for a Big Ten championship doesn’t make lot of sense. At another point in the press conference, he adopted a Bill Belichick tactic and said, “Good,” in answer to six questions about his health and related issues. “That’s a 365 game. That’s not a one-time shot. That’s not “win one for the Gipper” type of thing. We’ve been working on that one, and that goes from our strength staff to training staff to summer, to spring ball, to summer training to training camp. That’s a 365 game,” Meyer said. ON TATE MARTELL’S ROLE: After Ohio State replaced Dwayne Haskins with back-up quarterback Tate Martell in two situations close to the goal line and settled for field goals against Michigan, Meyer was asked about Martell’s role going forward. “It hasn’t been decided. I’m a Tate Martell fan. So I’m pushing it real hard. And we’re going to do what’s best. To say, well, it’s not working because he’s not doing a good job; there’s other things involved. I want him in the game,” he said. OLAVE “ELITE”: Freshman wide receiver Chris Olave, who had two touchdown catches and blocked a punt against Michigan last Saturday got the kind of praise Meyer rarely hands out to first-year players. Olave: “He’s an elite player as a freshman. And you have to be careful about anointing a guy that soon,” Meyer said.